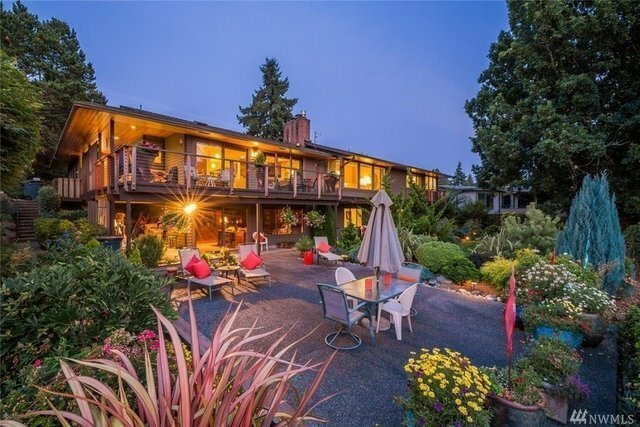 Lush, park-like landscaping, main floor wrap around deck and spacious patios surround this meticulous retreat in the heart of Mercer Island. West-facing territorial and partial lake views. Kitchen with 6-burner countertop range and oversized overhead stainless fan, double ovens, granite countertops, high-end appliances and separate wine bar. Main floor master with spa-like bath. Great room has walls of built-in custom bookshelves, gorgeous wood paneling and plentiful cabinetry. Close to Seattle, Eastside, schools, shopping and transportation.